Renee Wearsch Stuart graduated in 1977 from Avon lake as the Outstanding Female Athlete and with a volleyball scholarship from Youngstown State University. She was the first modern day female ALHS graduate to receive a full athletic scholarship. Renee distinguished herself as an outstanding volleyball and basketball player for the ALHS teams. She was named MVP in both sports -- as the leading scorer on the basketball team and as an all-around player and starter for three years on the volleyball team. 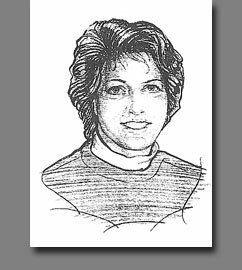 In 1977 Renee was honored by the American Legion as the Outstanding Female athlete; by the Knights of Columbus as the school’s Scholar Athlete; and received the Madeline Manning Jackson award as the area’s outstanding female athlete. Stuart was just as successful at the college level as she lettered four years in volleyball. She also played a second sport, softball, attesting to her athleticism. As a starting pitcher and infielder she played on two state championship teams for Youngstown State.